After a day of skiing, the congregation of skiers on the patio is a signal that apres ski activities have begun. Most people tend to congregate on the patio of the Hotel Puerta del Sol (larger crowd and on two levels) or at the patio at the base of the gondola. 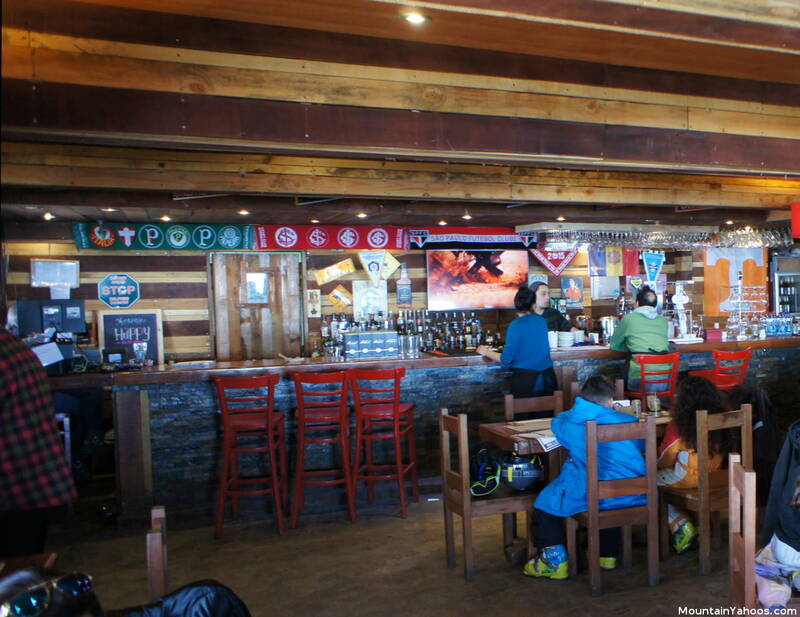 There is no village or town and these two areas are home to 100% of the apres ski activities. Chilean cuisine is unique with offerings not found anywhere else. It will be a difficult country for vegans or even for those avoiding beef. Many times a menu will offer eight ways to serve beef. 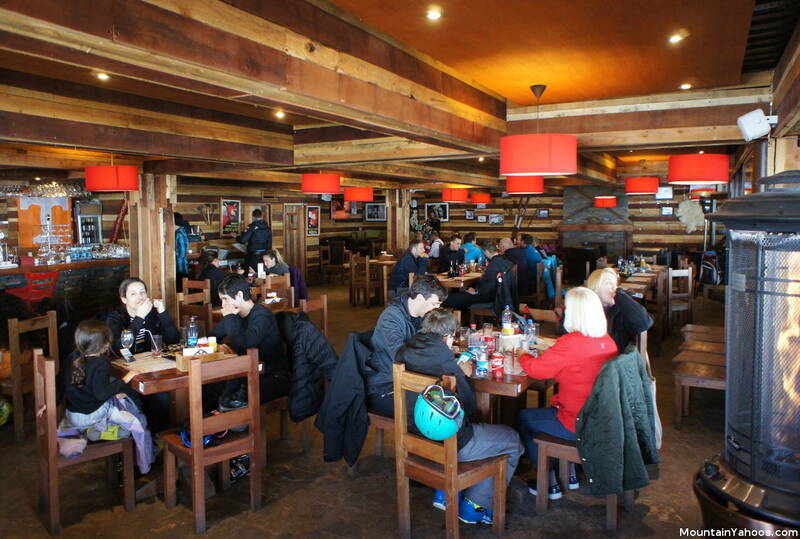 While the resort of Valle Nevado is an international destination, give up on the expectation that the food servers will understand English. 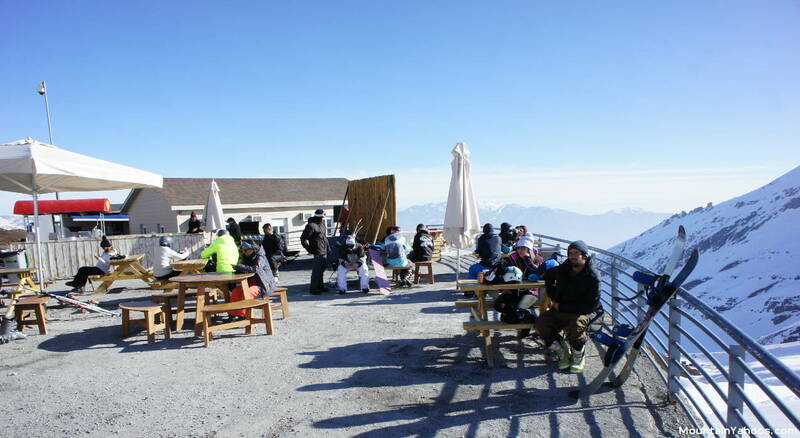 There are six on-mountain dining options offered at the resort, four are traditional restaurants, La Lenera at the Hotel Puerta del Sol patio and Bajo Zero on the mountain at the top of the gondola and at the base of Andes Express lift, conveniently located so as not to interrupt your ski day. Monte Bianco Ristorante - (was Don Giovanni) Italian restaurant with a great view of the slopes. Entrance by the Hotel Valle Nevado. Entrance to La Lenera restaurant by the patio at the mountain base. 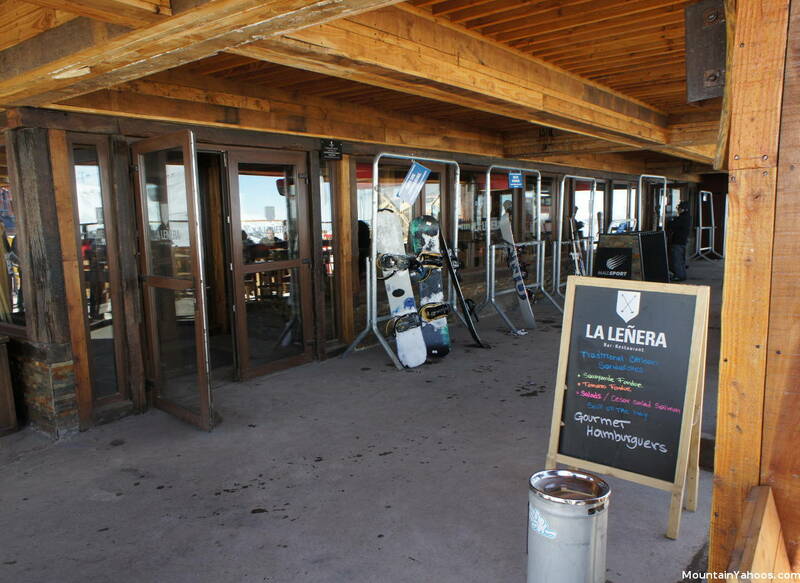 Inside the La Lenera restaurant by the patio at the mountain base. 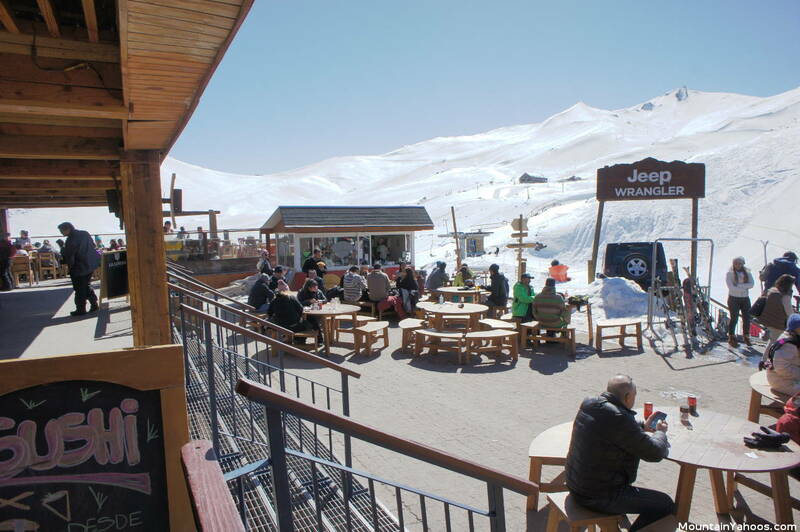 If traveling to Valle Nevado, you will eventually get to Camino A Farellones, the mountain road which takes you there. 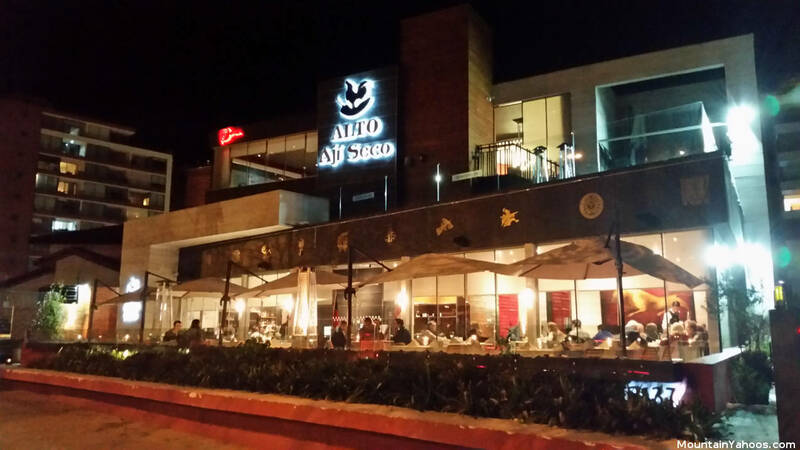 In the initial segment of this road leaving Santiago, you will have the opportunity to pass by a gourmet restaurant named "Alto Aji Seco", which serves fish in a unique, one of a kind, ceviche fashion which includes French style sauces to make a unique blend of flavors. If this sounds intriguing to you, don't miss the opportunity to eat here. Again, none of the servers or staff speak English. Once they found out that I spoke English, they changed the server to someone who they said knew some English. He did not, he just Spoke Spanish more slowly than the rest. It's the best they could do. Ordering food was tough but the meal was spectacular. 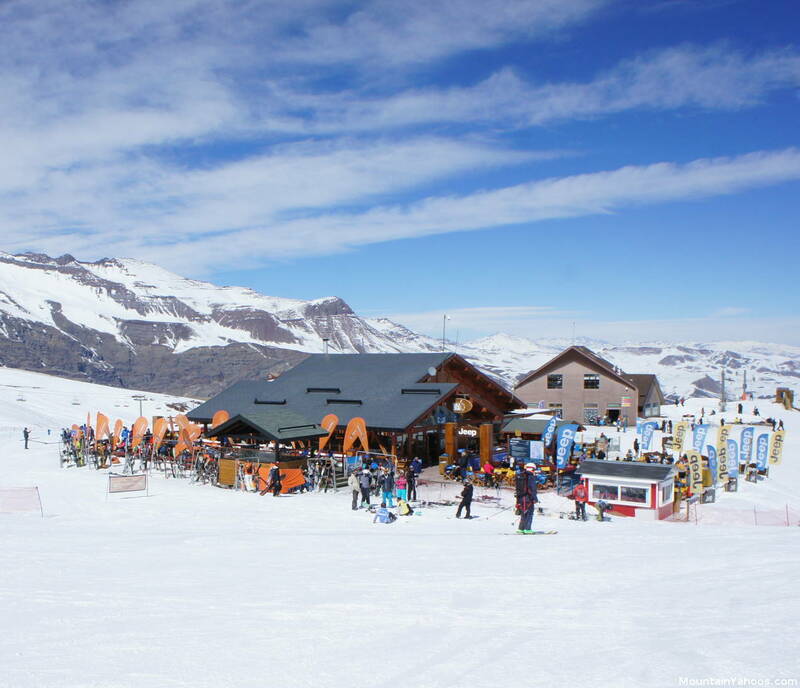 As with all activities at Valle Nevado, they center around the hotels Valle Nevado, Puerta del Sol and Tres Puntas. They are all very mellow with Tres Puntas hosting live music some nights.